Everyone has a different scale of ability and scope to alter their behaviour. Our tailored programmes inspire and catalyse change. Global Action Plan is an award-winning charity providing the UKs only environmental behaviour change projects endorsed by the United Nations Environment Programme (UNEP).What we do? We help people live sustainably  within the limits of the planet  by offering practical yet creative solutions that inspire people to act. We break down tasks that seem too difficult to tackle into practical steps that anyone can adopt. How we do it? We develop creative initiatives, programmes and communications that change behaviours, from curriculum-linked school workshops to staff engagement events and leadership programmes for FTSE100s. What all of our initiatives have in common is that they challenge the choices people make day-to-day, helping them to save money, reduce their environmental impact and lead happier, more sustainable lives.Who we work with? Our team of delivery experts in psychology, behavioural science, environmental management and education give us the breadth of skills and knowledge to create behaviour change in a wide range of environments.We have directly engaged over 750,000 people through our programmes and have worked with hundreds of leading public and private organisations, schools, SMEs, charitable foundations and family trusts. 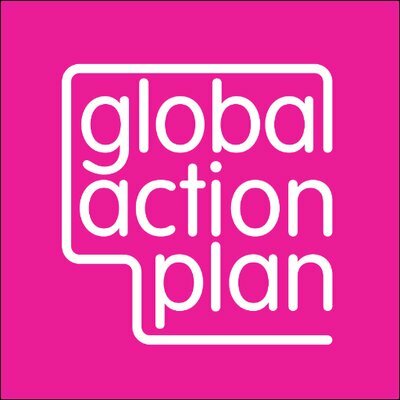 Global Action Plan is a charity, and therefore any surplus that we make is redistributed into back into our work, including developing new and effective programmes, developing our staff and funding innovation. These are conservative estimates based on what we have been able to directly measure or model with high confidence. In addition to our programme work, we continuously work to improve our own environmental impacts. This year we have seen a further 8% reduction in our own carbon footprint, and have been successfully re-audited for ISO14001, including transferring onto the new 2015 standard. Our programmes have resulted in wide range of social outcomes. Our air quality programmes are helping to improve the wellbeing of vulnerable patients, such as asthma sufferers or those with COPD. The programmes are supporting individuals to plan their journeys and activities to limit their exposure to air pollution, reducing their health conditions impacts on their lives. We have also been working with maternity departments to support pregnant mothers with this information, reducing the risks surrounding poor lung development to their children. Our cleaner air action and no idling programmes directly work to improve the air quality of key areas, such as outside hospitals, by helping drivers to understand the costs and risks of leaving their engines running when not necessary. As air quality is often a very localised problem, activities such as this directly improve local air quality, while also reducing the fuel used by the vehicles, therefore also resulting in reductions in CO2 emissions and their subsequent climate impacts. Our hospital programmes reduce the CO2 that the hospitals are responsible for, reducing climate impacts. They also create greater satisfaction from staff and a more comfortable stay for patients, such as through better temperature management, increased exposure to daylight, and reduced noise intrusions resulting in better rest. Our water programmes help school pupils to understand the value of water, and identify ways of managing an important resource, both directly, and the impacts that water has on purchasing decisions they make, such as the amount of water that goes into making a cotton t-shirt. Our youth programmes increase environmental knowledge, but also support the participants to increase their confidence and abilities within interview and job application situations. This helps to support them to get a role where they will be able to put their increased environmental knowledge to good use. We are working further to develop best practice for quantifying the outcomes and outputs of our programmes. In order to achieve this best practice monitoring, we are working with a real world research group made up of research academics from four different universities in the UK who are supporting us to develop effective tools and processes that make the most of our limited budgets.